Surfer-chic waves are so this season and so many of us are left stuck somewhere between not quite needing an extra curl and not wanting a straightening serum; enter Alterna Bamboo Style Boho Waves Tousled Texture Mist! 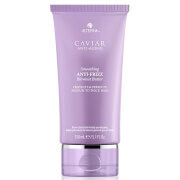 It moisturises and gently defines to give that summery soft style. Achieve that ‘just back from the beach look’ with Alterna Bamboo Style Boho Waves Tousled Texture Mist. Its nourishing formula moisturises and protects hair whilst defining it gently. Suitable for all hair types it provides added shine and strength with the power of its botanical blue yucca root and bamboo extract. Spray on damp hair and massage into the roots for extra effect. Spray on damp or dry hair from roots to ends and shape with fingers for loose, tousled style. Water (Aqua), Sodium Polystyrene Sulfonate, Sorbitol, Alcohol, Aleurites Moluccana Seed Oil, Aloe Barbadensis Leaf Polysaccharides, Ascorbic Acid, Azurite, Bambusa Vulgaris Water, Bambusa Vulgaris Extract, Bambusa Textilis Stem Extract, Beet Root Extract, Benzophenone-4, Bromelain, Glycerin, Leuconostoc/Radish Root Ferment Filtrate, Panthenol, Pantothenic Acid, Papain, Phenoxyethanol, Polyquaternium-10, PPG-5-Ceteth-20, Propanediol, Quaternium-95, Retinol, Saccharomyces/Zinc Ferment, Saccharomyces/Copper Ferment, Saccharomyces/Magnesium Ferment, Saccharomyces/Iron Ferment, Saccharomyces/Silicon Ferment, Saccharomyces/Calcium Ferment, Silanetriol Melaninate, Superoxide Dismutase, Tocopherol, Ubiquinone, Wasabia Japonica Root Extract, Yucca Schidigera Leaf/Root/Stem Extract, DMDM Hydantoin, Iodopropynyl Butylcarbamate, Fragrance(Parfum), Linalool, Limonene, Geraniol. This is a fabulous product which really works on wavy hair. I love how it makes my hair look. I have thick long hair, and this product does what it says on the tin. I would have given it 5* but I wish Alerna would give a larger amount for the price. I got this in my beauty box (which is perfect, btw :-) ) and I am very surprised! 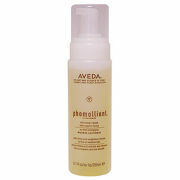 It works, does what it promises, leaves hair without sticky effect and even adds shine! Superb product, thank you, Lookfantastic! This Alterna Bamboo Style Boho Waves Tousled Texture Mist is a really nice product, simple and quick to use and gives you that beach look. I wouldn't say that it is value for money though as if i used this product every day for a week, it would be gone. I have shoulder length hair and it is not very think, but to get a nice look it does take quite a lot of mist. Fantastic product, but to make it worth the money it should be a bigger bottle.